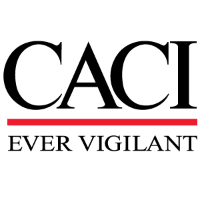 CACI Enterprise IT Operations has an opportunity for a Systems Administrator to support a large and complex IT enterprise program in Lackland, TX. -Maintain the operations center IT infrastructure. -Interact effectively and directly with both enterprise IT users and other IT support resources to efficiently and effectively resolve technical issues;. Independently employ resolution techniques to quickly restore any IT resource after incidents. -Provide a remote management service (RMS) that employs IT software applications and activates configuration options on client devices in order to permit remote management. -Use RMS to interact with remote monitoring and management applications to allow proactive, remote tracking of network and computer health. -24/7 coverage within the service center operations facility. -Coordinate mission assurance facility actions and the service center operations actions; as directed by the program manager and mission assurance lead. -Service request management, user interface, and ticket management. -Prioritize new service tickets ensuring service tickets requiring approval, VIP tickets, and remote user tickets are expedited. -Perform remote resolution of program service issues. -Monitor remote ticket completion rates and work with the service and tools development team to continually evaluate options for integrating new methods, equipment, techniques, personnel, and training to enable increased remote support capability. -Monitor open ticket status, determine cause of open status, and keep users apprised of ticket status. Bachelor's degree in Computer Science, IT Information Security, or a related discipline and 5+ years of relavent experience. Experience providing systems administration support on large scale enterprise IT contracts.